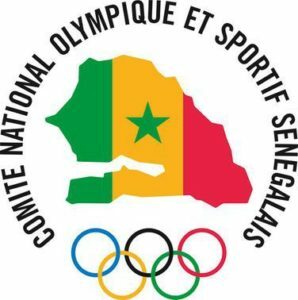 International Olympic Committee (IOC) has shown its intent in taking the Youth Olympic game in an Africa soil for the first time as its Executive Board has recommended Senegal as the host nation. In the IOC Session in February this year, it was unanimously voted that the 2022 Youth Olympic Games would be awarded to Africa. This will be the first Olympic event (Youth or regular) on the continent. And of the four 4 finalists to host the 2022 Summer Youth Olympic Games, the IOC decided to support the West Africa nation. Senegal’s bid is centered on 3 cities: the capital Dakar (population 1.1 million), the coastal resort of Saly just south of Dakar (population 30,000), and the newly-founded, master-planned city of Diamniado. Diamniado is a brand new city 30km (18 miles) from Dakar that the government has created near the Blaise Diagne International Airport that opened in 2017, in hopes of relieving the strain on the bursting capital. The government is expecting 300,000 people will move to the city upon its completion in the next few years. Senegal is a small country located on the coast of West Africa with a total population of 14.3 million (based on a 2016 census). The country peacefully gained its independence from France in 1960, and is a secular, French-speaking nation. Senegal was ranked 52nd most-peaceful country in the Institute for Economics & Peace, which makes it 5 spots better than the United Kingdom, which hosted the 2012 Summer Olympic Games, and much higher than Brazil (106th), which hosted the 2016 Summer Olympic Games. Among other candidate cities, Tunisia ranks 78th, Botwswana ranks 29th, and Nigeria ranks 148th out of 163 countries ranked in the study. The USA ranked 121st. Senegal has a per-capita GDP of around $2,733 (based on purchasing power parity), which ranks it 154th in the world according to the World Bank, making its populace the poorest of the 4 candidates. The country’s GDP is growing at a 6.6% rate, however, which is easily the fastest of the 4 countries. While the country is located very near the countries of Guinea, Sierra Leone, and Liberia that were at the heart of the 2014 Ebola outbreak, there was only 1 case of the virus (and 0 deaths) recorded in Senegal. That outbreak kept some athletes away from the 2014 Youth Olympic Games.